Royal Navy squadron alone was more powerful than most national navies. Today, a squadron might number three to ten vessels, which might be major warships, transport ships, submarines, or small craft in a larger task force or a fleet. A squadron may be composed of one type of ship of various types tasked with a specific mission such as coastal defense, blockade, or minesweeping. In the United States Navy, the term squadron has always been used for formations of destroyers and submarines. Independent squadrons. In effect, these are formations that are too small to be called a fleet. 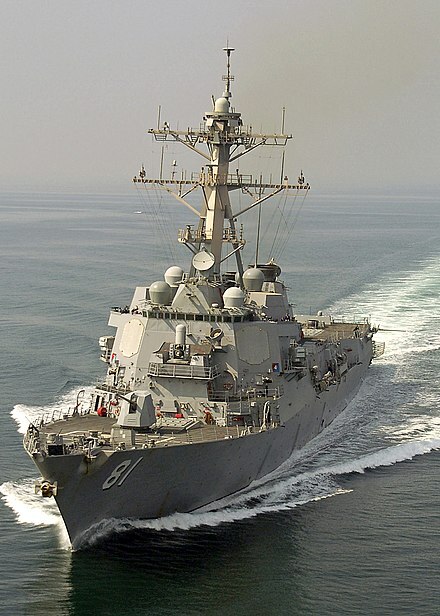 Independent squadrons may be assigned to and named after a particular ocean or sea, and the admiral commanding the squadron may be the naval commander in chief in that theatre. Temporary sub-divisions of a fleet. In the Age of Sail, fleets were divided into van, centre, and rear squadrons, named after each's place in the line of battle. A temporary detachment from a fleet would also be called a squadron. 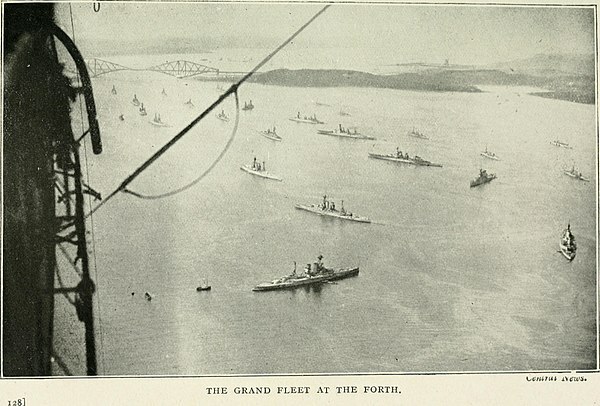 Grand Fleet during the First World War. From left to right: King George V, Thunderer, Monarch, and Conqueror.